How many of us wake up each day with a roof over our heads, a fridge full of food with a stable place of employment to go to? In the chaos of everyday life, it can be easy to take these seemingly simple blessings for granted…until they cease to exist. When you hear of homelessness, it’s often easy to think of major metropolitan areas and assume it can’t happen in your neighborhood…to people that are just like you. New Richmond, WI is home to Grace Place. 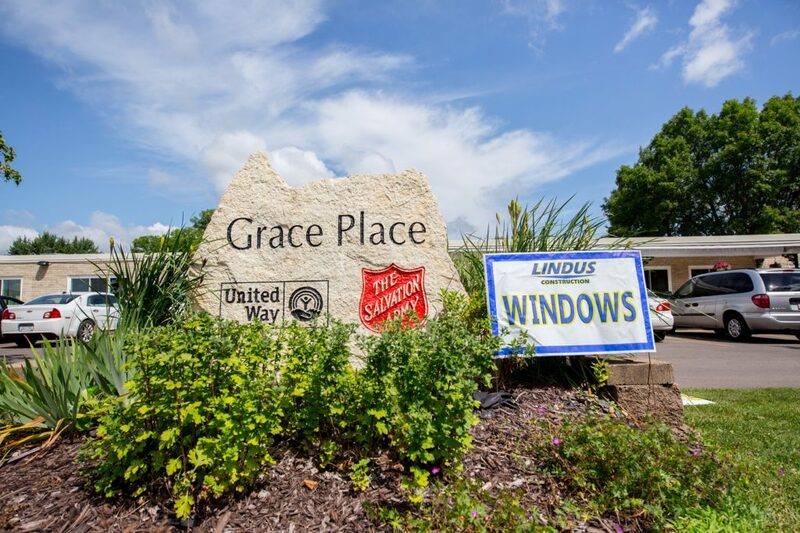 Run by the Salvation Army, Grace Place offers a temporary home for one to three months for individuals and families in Polk, St. Croix, and Pierce counties that have nowhere else to turn for shelter. At maximum capacity, Grace Place can house 64 individuals in need. In January of 2014, a building that had previously been a nursing home was gifted to the Salvation Army. However, because it had been unoccupied for quite some time, over $200,000 needed to be raised in order to complete renovations for it to be inhabitable. That summer, volunteers donated over 7,000 hours of time to transform the building and Grace Place opened its doors in October of that year. Not only was this window single pane, but it wouldn’t open and close correctly. 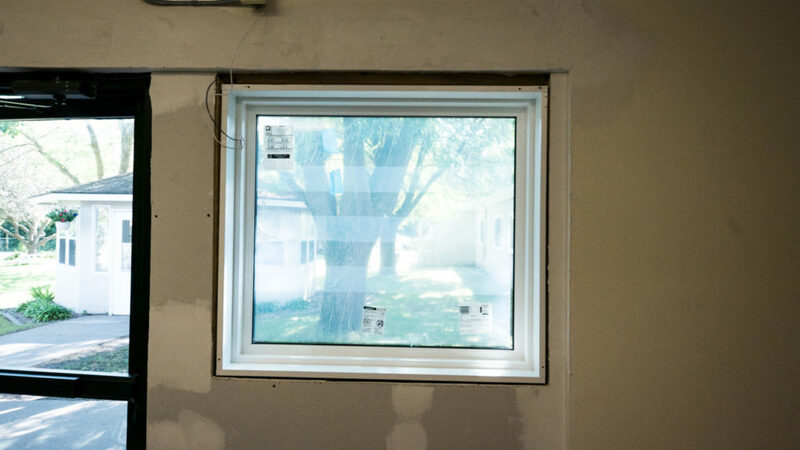 One project that had been put on the back burner and desperately needed to be completed, was the replacement of the building’s single pane windows. While affordable and able to easily let light filter through, they had some noticeable drawbacks. Most concerning was the amount air they were allowing to permeate. Drafts were a constant presence and even more frustrating was the fact that some of them couldn’t even be opened. 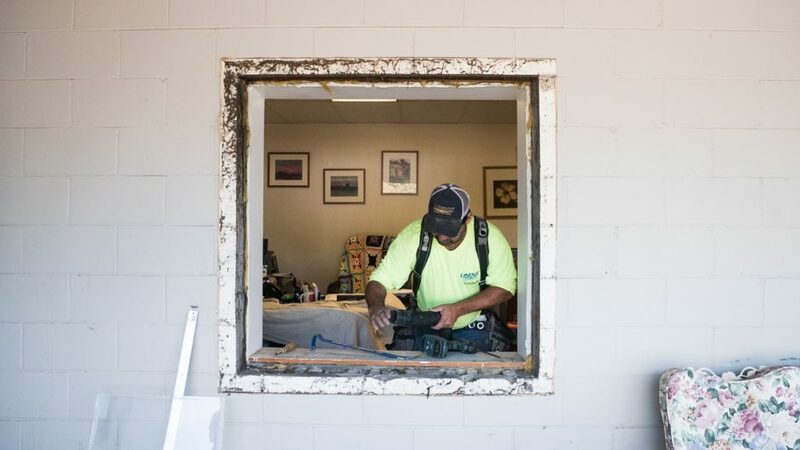 Understanding that there were several ways having amateurs installing windows could backfire, Grace Place began researching window companies and approached Lindus Construction to get more information on window replacement cost. 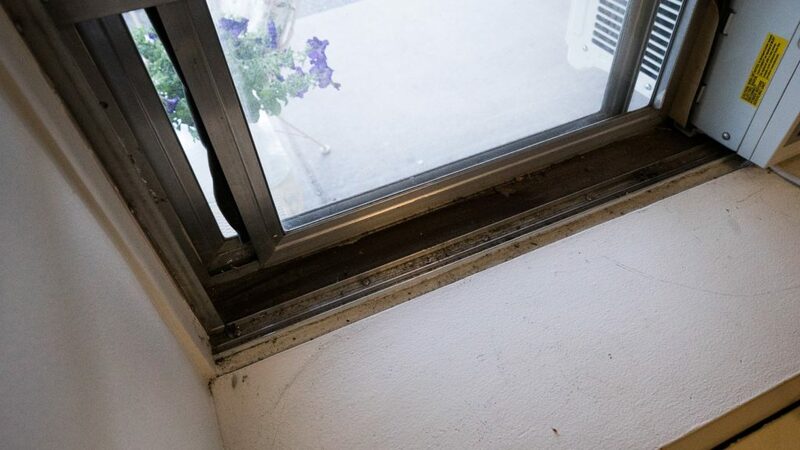 We met with them and evaluated the building’s windows, and felt strongly that most, if not all, would need to be replaced in order to provide an energy-efficient structure. 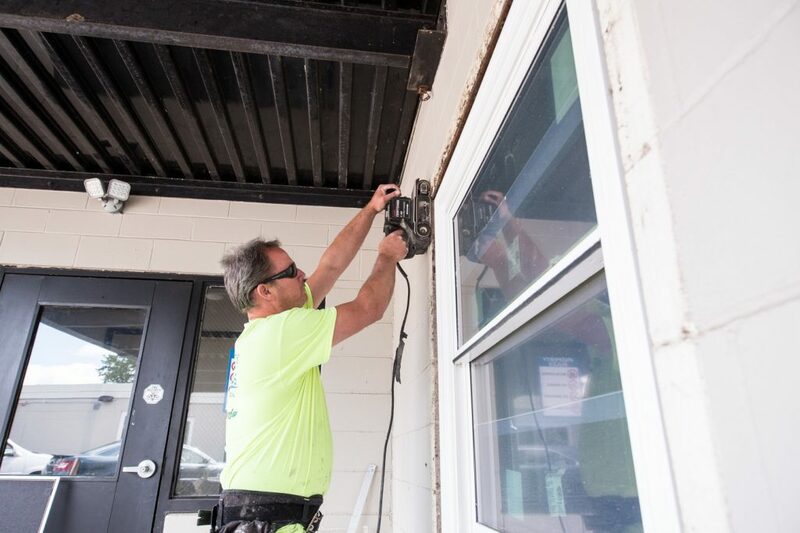 It went without saying that Grace Place needed windows we installed needed to be long-lasting, energy efficient and introduce as much natural light as possible to the building. For this reason, we felt confident recommending SeasonGuard windows. They feature Latitude Glass which provides the utmost in thermal efficiency, which will significantly lower the building’s energy costs. SeasonGuard windows are accompanied with a lifetime workmanship guarantee and a lifetime warranty that covers the entire window, including the glass. 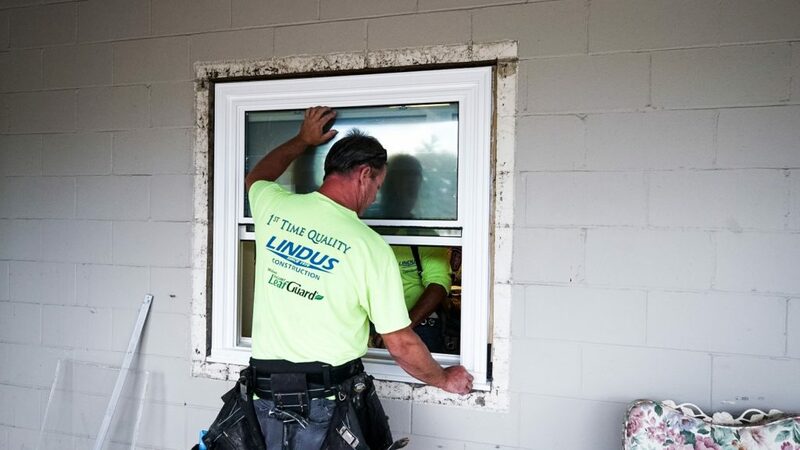 In recognition of all the work the Salvation Army and Grace Place do to make our community a great place to live and work in, Lindus Construction donated approximately $50,000 in labor and materials to make their dream of new, energy-efficient casement and sliding windows a reality. Grace Place only exists because of support from the community. If you’re interested in volunteering or making a donation, visit their website. Catch project highlights with Lindus Construction COO, Andy Lindus, and Social Services Director, Duana Bremer. Learn how we increased the energy efficiency and beauty of a Western Wisconsin church through the installation of SeasonGuard windows. Check out this amazing transformation our team completed on a historic building in New Richmond, WI. "Lindus did a wonderful job siding; the guys know what they are doing very polite. We would recommend Lindus anytime. They were always on time they answered all our questions." - Wayne L.
Employee morale may be the #1 indicator of a successful business. Great Job Lindus!" - Jesse H.
"We were extremely pleased with the professional and quality service provided by Lindus Construction when they replaced our hail-damaged roof and gutters. We highly recommend them." - Vicki G.
"Lindus Construction followed through promptly on its replacement of our roofs and installation of LeafGuard®. The crew had amazing work ethic and used the sunshine to get our job done---so long hours with steady production. Thanks for a job well done!" - Marilyn P.
"We contacted Lindus and they sent their salesperson, Roger, right out to evaluate the job. They contacted our insurance company and the job was completed in no time at all. Great company to work with! - Vern C.
"Roof and gutters done. Looks great, can't wait to have siding and addition done." - Kathy M.